Winter is coming. That means lots of time spent indoors, and you’ll want to stay warm and snug as you try to occupy the kids. We’ve put together a handy list of things you need to do to get your house ready before that first snow storm hits. So, sit down with a cup of hot chocolate, and check it out! For quick and easy window winter-proofing, apply bubble wrap to your windows using only water. The bubble side should be in toward the windows. 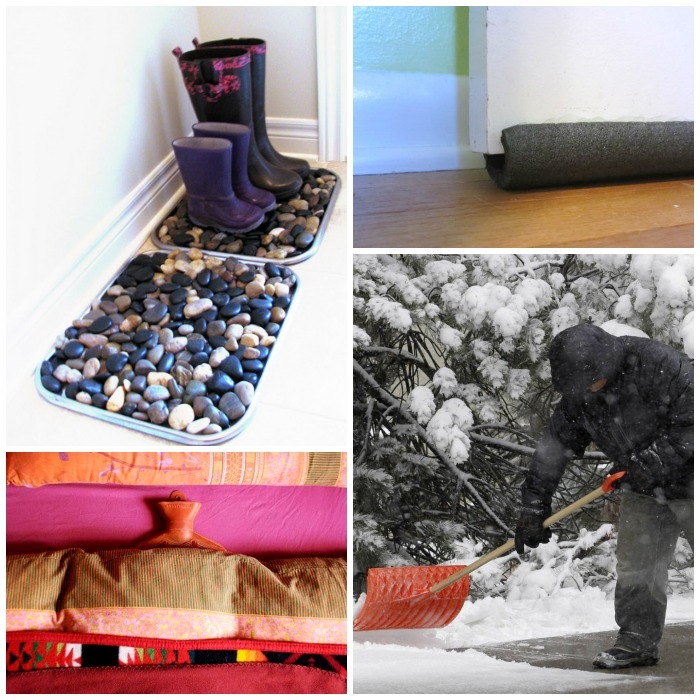 Make snow shoveling easier (yes, really!) by spraying it with cooking spray or rubbing it with paraffin wax before use. Reverse your ceiling fan. It’s a simple thing that will make a big difference in the winter. Since hot air rises, reversing the fan helps bring it back down from the ceiling. Get more out of your radiator by putting a reflective sheet behind it. It reflects heat back into the room and reduces heat loss. A hot water bottle between the sheets will make your bed nice and cozy. Personally, I use a heating pad for the same reason, but this is probably safer. If you don’t know how already, you MUST learn how to build an upside down fire. It lasts much longer than a traditional fire, so you’ll have less fuss with the fireplace. 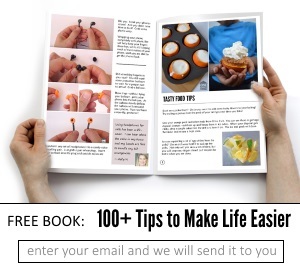 Check out the short video below to learn how. If you don’t take your window unit air conditioners down for the winter, turn off the air vents and cover them up to keep cold air from blowing through the unit. Pipe insulation can prevent those cold drafts from coming up under the door. Frugal tip: pool noodles can do the same thing! Don’t track in ice and snow on your boots. Make a boot drying station for just a few bucks. 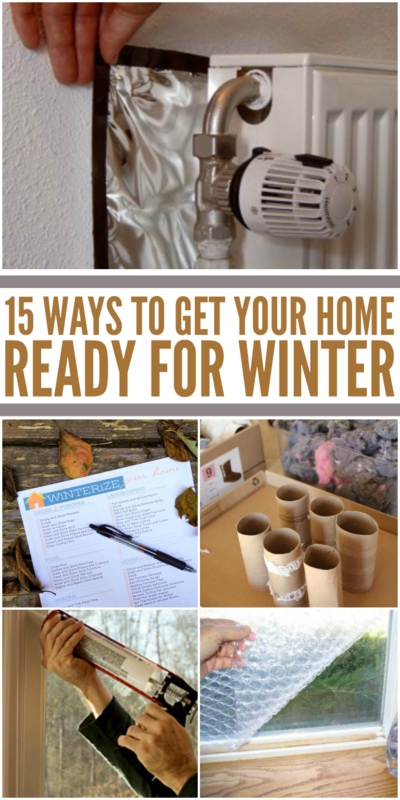 Start saving toilet paper tubes and dryer lint now to make your own firestarters. Not keen on saving lint? Try orange peels (or any citrus fruit peels) instead. Hey, at least they smell good! Light a candle, and move it around your windows to detect drafts. Seal them up with caulk or foam sealant. Print out a good winterizing checklist to make sure your home is ready for the cold temperatures, snow and ice. Insulate outlets and switches to reduce energy loss. You’d be surprised at the amount of cold air that comes through those tiny spaces, especially in older homes.